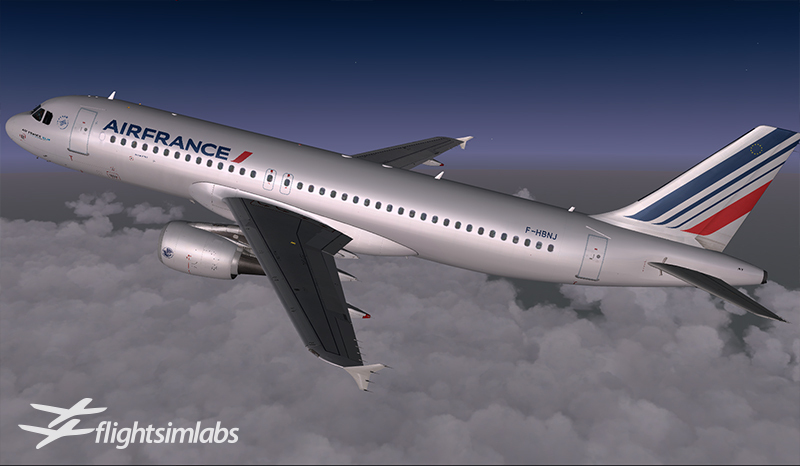 A320-X – Flight Sim Labs, Ltd. AVAILABLE NOW – all new on P3D v4.2 and higher! Following the FSX and P3D v3 releases of the highly acclaimed A320-X, we are very pleased to present to you the A320 commercial jet airliner, now for Prepar3D v4. 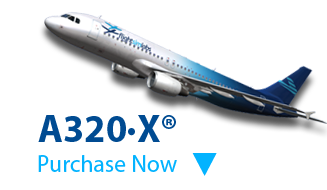 The A320 is the first part of FSLabs’ “A3xx Master Series” line of products for desktop flight simulators. The FSLabs A320 includes an entirely custom animated external model, a complete 2D panel set and a fully immersive 3D virtual cockpit, allowing the flight simulator pilot an in-depth experience of this very popular aircraft. Additional features for the FSLabs A320 include a robust Flight Management and Guidance System (FMGS) with proper SID/STAR tracking; lateral and vertical flight management which follows the ARINC 424-19 specification in full detail; the entire range of aircraft systems; and the complete custom Fly-By-Wire implementation featured in the actual aircraft. 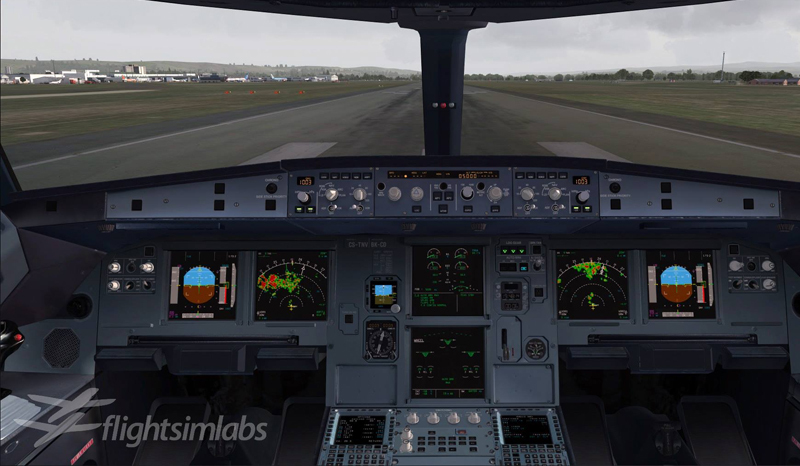 The FSLabs A320 is the pinnacle of simulation fidelity in add-on aircraft for desktop simulators and reaches a broad market ranging from the beginner in glass cockpit airliners to the simulation expert who wishes to enjoy a virtual environment that is unparalleled in the desktop simulation world. 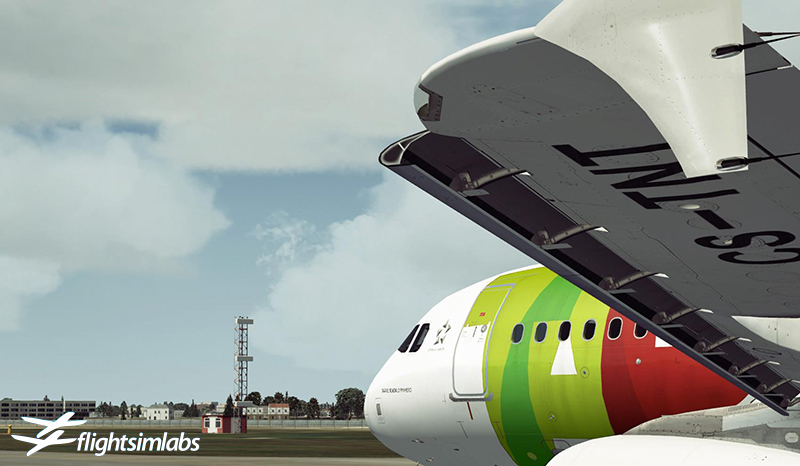 For more information, visit our FSLabs A320-X forum here. 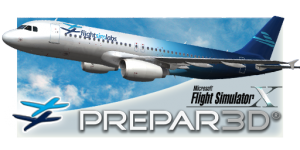 Thank you for considering the purchase of our A320-X for Lockheed Martin’s Prepar3D v3 or v4 and Microsoft Flight Simulator X! Clicking on the purchase buttons below indicates that you understand that your computer must meet at least the minimum specification detailed in the System Requirements (and preferably match our recommended hardware) to allow enjoyment of the simulation in the best way possible! Note to EU Consumers: By clicking on the purchase button below, you acknowledge and accept that the product you order from Flight Sim Labs qualifies as “digital content” within the meaning of the 2011 EU Consumer Rights Directive and therefore you agree that receiving and activating the serial key immediately on purchase forfeits the right of withdrawal as per the Directive. Please double-check the product version you are purchasing – all electronic purchases are final and no refunds are possible for any reason. To take advantage of your credit card’s more favorable conversion rates, please select USD Dollars as payment currency in the next page! (for the P3D v3 to v4 free upgrade, you must have purchased the P3D v3 product before October 17, 2017). PC hardware (Apple Macs not supported). Windows 7 SP1 or above (64 bit recommended). Minimum 16GB RAM. Graphics Card: Minimum 3500, Recommended 5000 Passmark GPU Mark Score. NOTE: Minimum settings allow the aircraft to load and operate but you’ll need to make compromises in scenery settings to get adequate performance. 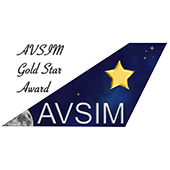 AVSIM published a very nice review of our A320-X for FSX, which received the Gold Star Award for Excellence! To read the review, click this link. 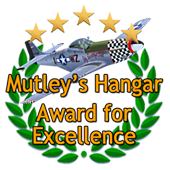 Mutley’s Hangar published their review of our A320-X for FSX and awarded it its Mutley’s Hangar Award for Excellence, giving it 10/10 in all categories! More here. 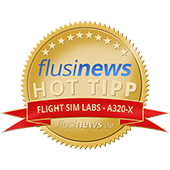 flusinews.de awarded the A320-X their prestigious “Flusinews Hot Tipp award”! The review is here. You will need to run your simulator with administrator privileges. FSX, P3Dv3 & P3Dv4.1 are supported. Activation of this product will take place automatically if your PC is connected to the Internet, or using a manual process if you wish to run the product offline on a separate computer. The computer running the A320-X is required to be connected to the Internet for periodic serial number validation. Uninstall the product before changing hardware, in order to reclaim the activation for your serial number. Please make backups of the installer executable immediately after you download. Complete 2D panel set accompanies a fully modeled Virtual Cockpit with high resolution textures. Two variants modeled, thousands of animated parts with custom effects and ultra high definition textures – read any of the airframe labels, no matter how small! A truly unique and immersive sound experience – utilising hundreds of recordings from the real aircraft. Both CFM 565B4 and IAE V2527A are simulated to incredible detail; realistic startup times, spool speeds, fuel burn, sounds and effects. Over 60,000 electrical components are simulated and connected via simulated electrical and data driven networks. Every aircraft component within the Fuel, Hydraulic and Pneumatic systems has been modeled, making the aircraft feel alive. Dual FMGS that follows the ARINC 424-19 specification in detail and faithfully simulateslateral and vertical flight path guidance. Complete flight control system, featuring Normal Law, Alternate Law, Abnormal Attitude Law, Direct Law and Mechanical Backup. The Fly-By-Wire system faithfully represents the feeling of flying the real world aircraft – which any A320 pilot can testify. 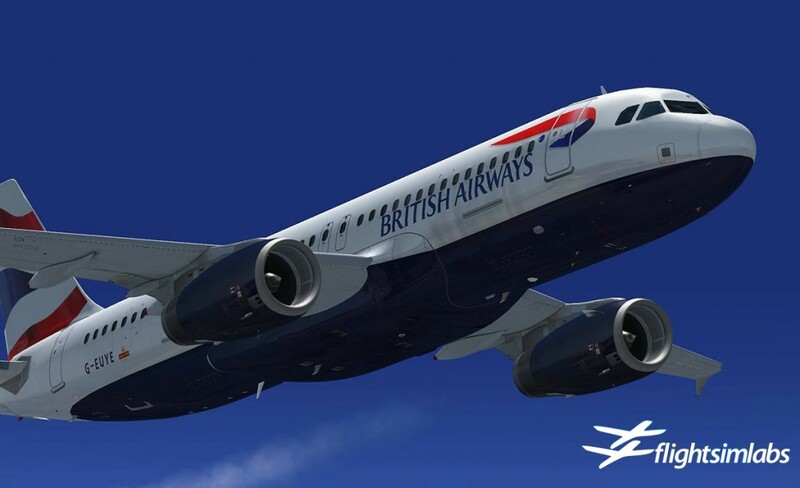 A320-X P3Dv3 / FSX – now released! Lefteris Kalamaras: Thank you for the opportunity to answer some questions regarding our upcoming Flight Sim Labs A320-X aircraft. I felt this was a good time to let our developers voice their own thoughts regarding their hard work, so I selected Andrew Wilson and Philippe Gleize to respond with feedback on your questions. Andrew is responsible for systems, special effects and all-around code programming, while Philippe is our flight and engine dynamics model developer. Truth be said, though, all our developers have their hands on various bits and pieces of the code, so those job descriptions are only part of what our associates contribute: Our real strength is the unity of our team and the synergies it provides. 1. Which models will be included on initial release? (Andrew) Initially we’ll be releasing the A320-X, which will serve as the base package for our Flight Sim Labs A320 series. Following this, we’ll be adding expansion products that will extend the A320 series product line to include the A319-X and the A321-X, each of which will be simulated to the same standard as our A320-X and will include many of the intricate details that are unique to both airframes. There are many things that the A319 and A321 do differently, and we’ll be simulating these differences in our products. 2. Are you planning to realize other Airbus series in future (330/340)? (Andrew) Yes – we have developed our own specialized infrastructure to support the various digital data networks that form the foundation of the Airbus series. These include ARINC 429 (with ARINC 600/615 data stream support), ARINC 424, and RS422 (with ARINC 600 support). We have also designed code libraries to handle the analog data systems found on the A320 – ones that use electrical current to send and receive a flow of data between the systems. Most of the components that make up an A320 have been modeled – from relay switches, fuses, circuit breakers, diodes – to fuel pumps, servo control valves, hydraulic accumulators, batteries and transformers. In total we have over 60,000 of these components running in our simulation of the A320-X. 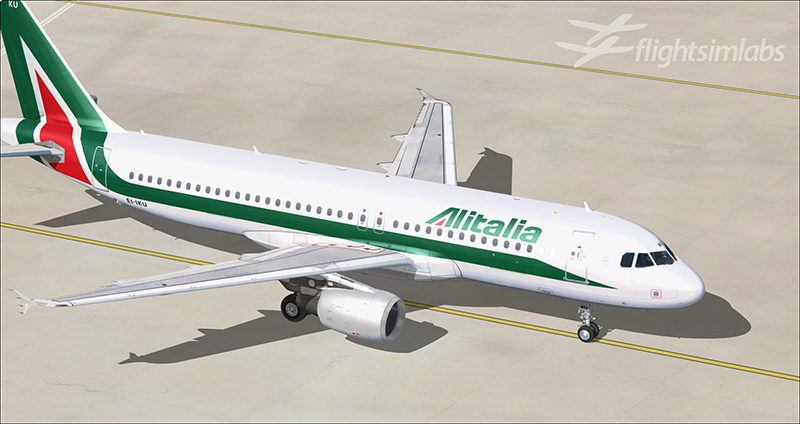 The result is a simulation of an A320 that is very much like the real thing. We anticipate the infrastructure we’ve developed will be used to expand our A3XX fleet at Flight Sim Labs. 3. If possible, please tell us your own opinion about your A320 project. What in this model makes you proud? What is strong side of this model? (Philippe) The level of realism achieved in our FSLabs A320-X makes us very proud and we are certain it will be a major step up in the development of desktop flight simulation industry. The modularity of its design will allow the professional version of the A320-X (which will follow in the footsteps of our FSX release) to fulfill expectations and requirements of professional pilots and training personnel in their day to day operations: systems, flight dynamics, ground dynamics, engine models, and visuals. Our team has avoided several FSX limitations by developing flight and engine models that function outside the FSX internal update cycle to render drag (friction, induced, wave, trim, flaps, etc.) and thrust components of each aircraft variant allowing freedom in calculating components of flight such as atmospheric influence, bleed air demands as well as damage caused by overstress conditions. Realism of a successful simulation doesn’t only depend on the time the aircraft spends in-flight. As such, a lot of attention was paid to the ground model to get the correct ground friction and handling: the lateral component during turns and cross wind landings and the longitudinal component for realistic taxi thrust. A correct wheel shock model was added to absorb the huge mass transfer that occurs during aborted take-offs and while the aircraft is braking after landing. Hard work has gone into making all this possible: Over 2 years of research and development, hundreds of hours of Class-D simulator testing, in-flight measurements made by our dedicated technical advisor pilot team, technical documentation data mining and high-end tools such as neural network realization software. 4. Are you planning to realize variations in cockpit, for example CRT/LCD displays, different STBY instruments? (Andrew) Our A320-X is based upon the latest v1.7.0 software standard update to the A320 series with EIS2 LCD displays, which includes the Integrated Standby Instrument System (ISIS). Given the level of detail we have modeled the A320-X, it would be almost impossible to model the former EIS1 system (v1.3.2) without a significant rewrite of our code. 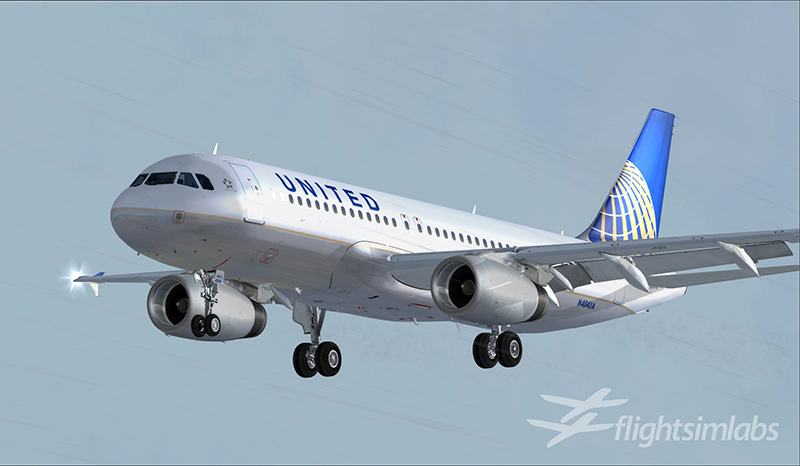 We will, however, be looking to extend the FSLabs A320-X series with a number of airline options that are available to the various operators of the A320 series. 5. Are you planning to make a wing flex? (Philippe) One of the characteristics of the A320 wing is its rigidity. Those of your readers who have been passengers inside an A320 will have noticed that the wingtip doesn’t move much at all during take-off and landings, except for a somewhat small bounce. The wing certainly does not flex due to lift forces, as would, for example, the wing of the larger A340 in the series. Expect to see the same thing in the FSLabs A320-X: The bounce is properly modeled – it would be unrealistic to add wing flex. 6. Are you planning to make terrain and wx radars? (Andrew) The A320-X is equipped with a working terrain radar – a very complex system to simulate properly. At this time, we are still investigating the possibilities of simulating a weather radar, but our sentiment remains that without proper data that would accurately inform of cloud droplet contents, any wx radar depiction is not less than fake. 7. Are you planning to make payload and fuel loader? (Philippe) Yes definitely. Our simulated aircraft models weight and balance components with a very high degree of accuracy. The dry mass of the aircraft has been designed for each variant following the W&B manuals accompanying its real-world counterpart. The fuel model has been treated mathematically in three-dimensional space, resulting in each tank fuel quantity causing a correspondingly accurate CG impact as a proper 3d vector. We owe significant gratitude to our technical advisors who provided us access to their LPC software, allowing us to verify that our modeled configurations were properly following real aircraft specifications during our cross checks. 8. Are you planning to make some non-standard configurations of airplane, for example, A320 from AIR INDIA or A319 with engines from A320 (as in Drukair)? (Philippe) One of our team’s strong sides is the modularity of the models featured through the A320-X design. If an A319 aircraft needs to wear A320 engines, this is certainly allowed through our configuration files, as the engine component mechanism is plug-and-play. 9. Which liveries will be included in initial release? Will you release a paint kit (before or after release)? (Andrew) The paint kit will be free and available to all customers of the A320-X. 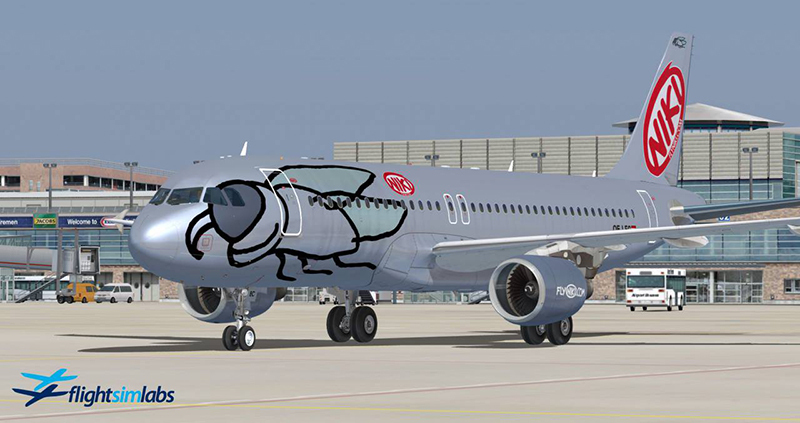 We expect that the main product purchase will include our default Flight Sim Labs livery, but we’re still exploring our licensing options regarding inclusion of extra liveries to be installed as part of the A320-X base package (we do not wish to step on any toes, given how close our product will be to simulating the real aircraft). We have been running a poll on our Facebook page (it can be found at http://www.facebook.com/flightsimlabs ) where we ask our friends to vote for their favorite airline liveries – the most popular of which will either be included with the main installer, or be made available to download (as free add-on components) at or around the same time the A320-X is released.. The Airbus A320 seems to be still the airliner to challenge developers. Whilst we have seen in previous years a splattering of versions for both FS9 and FSX, it appears 2012 is the year things begin to change. With the upcoming release of a visually stunning rendition of this aircraft in the next few days, we learnt about the things it simulates and it doesnt simulate, and it is made for a specific simmer. Fair Enough. 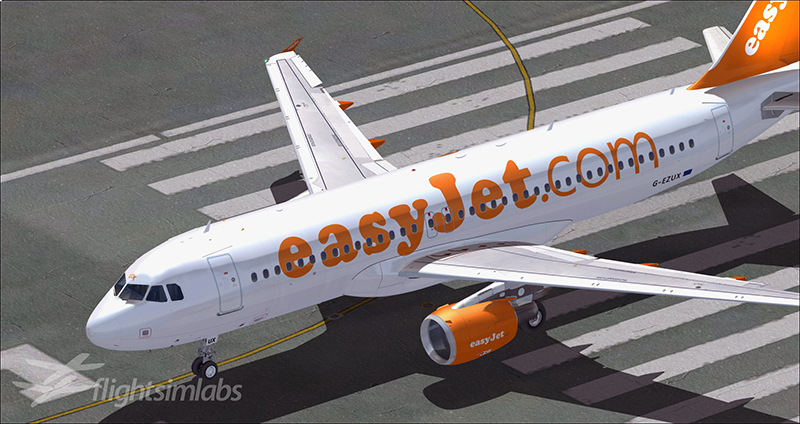 The next Airbus A320 to soon grace our virtual skies will come from Flight Sim Labs, a relative newcomer as a developing entity, it packs many years experience in its ranks, as well as enthusiasm to match. 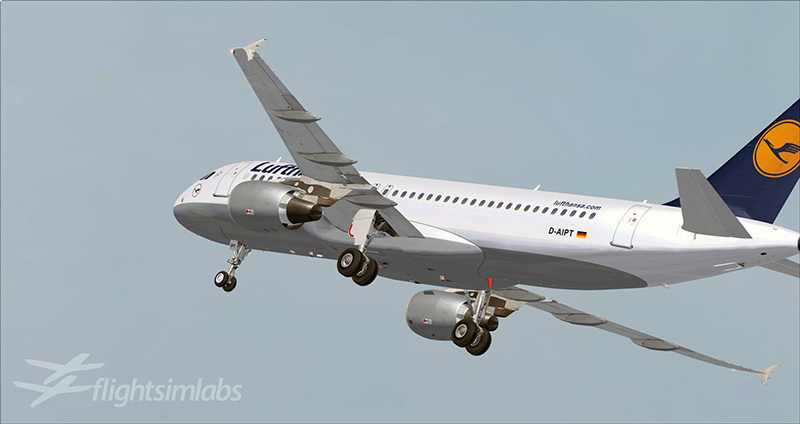 As we learnt from my previous interview with CEO Lefteris Kalamaras, Flight Sim Labs has the potential to give the simming community many years of outstanding add-ons, judging by the quality of their Concorde and the previews of their upcomnig Airbus A320. So what will we see in their upcoming “baby”? Flight Sim Labs were kind enough to offer Avsim readers an insight into their world, where this new jewel is brewing nicely! Q: Tell me a little about yourself Andrew. What role do you have at Flight Sim Labs. You worked on the Concorde-X, is that right? I’m a senior engineer at Flight Sim Labs and started working with the company shortly after it was founded by Lefteris Kalamaras in 2008, to work on Concorde-X. Before this, I produced expansion titles such as Concorde SSTSIM for FS2004, Altitude Concorde for FS2000/FS2002 and several other freeware expansions for FS98 and FS5.1. I’ve been simming with MSFS for over 20 years, during that time I have also acquired my Private Pilots Licence, and completed theory exams for an Airline Transport Pilots License. Q: You have a young company, with one fantastic add on doing the rounds in the market place, the Concorde-X…what made you choose the Airbus A320? Much of the technology designed and built for Concorde became a foundation upon which the Airbus series was built. It has similarities in the hydraulic and electrical systems – as well as the Fly-By-Wire (FBW) systems (Concorde being one of the first aircraft to use FBW). We also saw a huge void in the market for a high-fidelity simulation of the A320, which remains true to this day. Given that both Lefteris and I had spent a good part of the past decade developing high fidelity simulations of long-range type aircraft, the A320 really appealed to us and with our experience and expertise at Flight Sim Labs, we believe we have an opportunity to finally do this aircraft justice. Q: What is the scope behind your Airbus A320? What are you hoping to recreate and to what degree? Our goal with the A320-X is to produce an authentic simulation that allows customers to experience what it is really like to fly one of these things. It is also our intention to provide future solutions that can be used by pilots/enthusiasts who want to train or keep current on type. Q: How long was the development cycle for the Concorde-X and how long do you predict the cycle will be for your A320-X? Is there much you can use from the Concorde-X? We spent around two years developing Concorde-X. A good proportion of that time was spent expanding our internal framework upon which all of our aircraft are built. 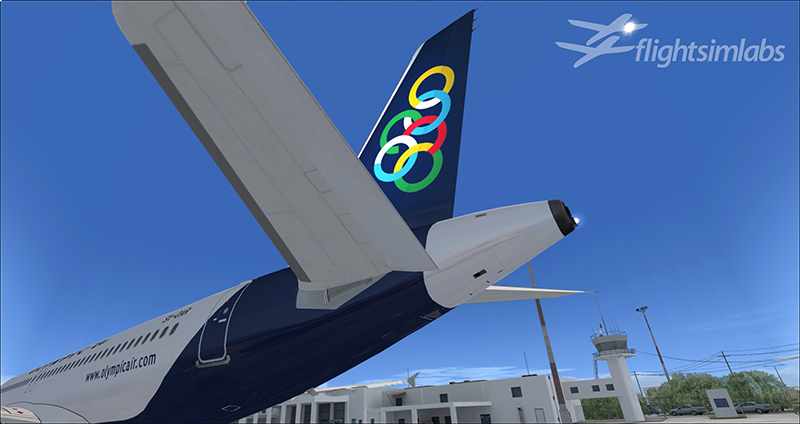 So we’ve been able to use a lot of the functionality initially developed for our Concorde-X title within our A320-X. Although I commented that there are a small number of similarities between Concorde and the A320 – the two are built upon very different system infrastructures. The A320 is built upon a network of electrical signals – a mix of digital and analogue types, and these signals are transferred between various systems. The digital parts conform to ARINC standards, and we have developed infrastructure for the A320-X that supports ARINC 429 (with ARINC 600/615 data stream support), ARINC 424 protocols, and RS422 (with ARINC 600 support). This means that the fundamental foundations of the aircraft, upon which all of the systems communicate with one-another, are simulated correctly. The data flowing from each system is sent and received in exactly the same manner, with exactly the same latency you could expect to see on the real aircraft. In theory, you could take our simulation, plug it into the real aircraft and it would drive the instrumentation over the various data busses we have developed. It’s a feature that has been completely over looked by others that have attempted to simulate this aircraft, but it’s actually one of the most important parts of our simulation and in my opinion, the only way to simulate an A320 authentically. To answer your question, the A320-X has almost certainly demanded more development time and resources than what was required for our Concorde-X title. Q: What resources have you got at your disposal for the A320 and the follow up planned expansions? Airlines providing materials? Anything from the manufacturer? We are bound by various confidentiality agreements, so I can only comment that we are very fortunate to receive help from a whole variety of sources. We really couldn’t have developed our A320-X to the degree of system fidelity we have achieved without them. We have access to the real aircraft most days in addition to a whole range of simulators. With these resources, we’ve been able to model various system characteristics that aren’t documented and only found on the real aircraft. Everything we do is checked by professionals who work with the real aircraft – if they are satisfied, I’m sure our customers will be also. Q: Other developers have released A320s or are about to release A320s into the market. What is the target simmer with your product? Is it aimed at the simmer who wants total realism? Realism within the confines of FSX? Total Simulation? I firmly believe our A320-X will appeal to a large percentage of simmers world-wide. While our product offers an authentic simulation of the A320, we have also included many ‘not seen before’ features, which we think will really appeal to the more casual simmer; the one who also loves eye candy. Of course, we are very much aware that other development groups are watching, so we’ll be keeping our cards very close to our chest until the product is ready to be launched. The Flight Sim Labs A320-X still promises to be the first high-fidelity simulation of an A320 for FSX – I think a lot of people will be very interested to learn (or re-learn!) how to fly an A320 properly. Q: Developers either provide photorealistic Gmax interiors or design the whole interior from scratch. What is your approach and why? What effect are you looking for? What about shadows? Reflections? 2D as well as VC? Virtual Cabin? We are using a combination of photographic material for background textures as well as repainting of labels and text to accurately represent the virtual cockpit without the blurring that occurs when using photo-real images only. A lesson learned from the Concorde-X (where we spent countless hours fixing and retouching photographic images) shows that the result of combining the two efforts is far superior in nature than simply using one of the two methods and ignoring the other. Regarding the virtual cabin: We are including it in detail, but only in the external model. We firmly believe that the product has to accurately simulate all aspects of a real aircraft, but it’d be quite useless to provide a virtual cabin to accompany the Virtual Cockpit, as it would only take away valuable polygons that would be used to better simulate the cockpit itself – and that’s where all simmers spend their time! Q: Let’s talk the coding itself…a few A320s have been released which simply advised the Fly By Wire logic was too complex to simulate properly. What are you offering in this regard? How is your approach different to what other developers have tried with different degrees of success? The EFCS (Electronic Flight Control System) is indeed a very complex system comprising of various sub-systems (ELAC, SEC, FAC, SFCC) that control the aircraft. Fortunately, it’s quite straight forward to isolate the input commands to FSX – and so we are able to route all inputs through our EFCS and control the aircraft using our own algorithms. I think the biggest pit fall others have succumbed to is that the native MSFS logic wasn’t built for FBW. We’ve had to develop our own control loop feedback mechanisms for FSX in a cascade system that function within the manufactures specification, for control of reactions in a dynamic environment to any force the aircraft is subject to. With a firm understanding of the logic, the implementation isn’t too difficult. In fact, the complexity lies (again) within the inter-communication of the EFCS components, and the common flight phase identification between sub-systems in different priority modes. The EFCS on our A320-X has been developed and tested with input from professionals flying the A320 and promises to be one of the first authentic simulations of the flight control logic and control laws found on the A320. Q: Let’s talk your development cycle for a moment…what things have changed from the original scope of the project? Things that were added or removed? Can you share some of the intricacies of this Airbus you have found along the way that were not in the original plan? I think it’s fair to say that we underestimated just how complex the A320 aircraft is when we started – and how closely all of the systems are networked together. I mean, developing a simulation of Concorde was pretty easy in comparison! We built a couple of systems for the A320-X using conventional methods that we followed when developing Concorde-X, but certain parts weren’t working as they should. We needed to re-think our approach, analyze and redesign. We devised a new system infrastructure, upon which all of our systems are built (incorporating the ARINC dataflow work we had already done) and significantly increased the granularity of our simulation. The only way we could get our systems running like those on the real aircraft, was to simulate pretty much everything. It’s just the nature of the A320, you can’t cut corners, simulate only half an aircraft – because everything is so interlinked. With this new approach, we have modeled the majority of relays, switches, diodes, fuses, inverters, pressure switches, different types of fuel and air valves, different types of pumps, filters, generators – as I said, pretty much every system component. To connect all of these components, we designed a fluid dynamics simulation to model aircraft fuel, bleed air, hydraulics and electric current throughout the aircraft. Given that each and every component has (simulated) electrical current and voltage running through them, the result is a very accurate simulation of the aircrafts electrical system. It means that we can connect our simulated components in exactly the same fashion as the real one, and the results are beautiful. You can see effects propagate through the systems, right in front of your eyes. Accurate models of pressure and temperature for fuel, hydraulics and engine bleed air. Let me give you an example of just how spectacular this system is: On a recent internal alpha build, one of our team noticed that sometimes, the center tank fuel system behaved in a certain way when running down to empty and put this down to a bug. It appeared to be random and difficult to reproduce. Naturally, we asked one of our technical advisors to confirm this anomaly and they replied “Oh no, that happens on the real aircraft too, but only sometimes”. It was a real testament to the way we’ve modeled the A320-X. When you fire up the systems on the A320-X, there’s an eerie sense of life behind those six LCDU’s. I think people are going to really enjoy flying our A320-X. Q: Flight Dynamics….a lot of discussion about how the A320 handles…what is your view? What are you trying to achieve, how are you doing it, and how are you going? What can we expect? As I commented with the EFCS, we’ve been working with professionals to ensure our flight model is an authentic representation of the real aircraft and that our simulation operates to within a narrow margin of manufacture specifications. One important item that I should mention is that we’ve developed our own Jet Engine Simulation Program (JESP) for the A3XX Master Series, that removes any default engine logic from FSX and uses our own data to faithfully represent all engine parameters at all times in any environment the aircraft is subject to. With our own JESP, we’re able to very accurately simulate the FADEC (Full Authority Digital Engine Control) found on the A320. That is – the EEC (Electronic Engine Control) and FMU (Fuel Metering Unit) for the IAE V2500 type engine, and the ECU (Engine Control Unit) and HMU (Hydro-Mechanical Unit) for the CFM56 engine variant. There are several differences in the FADEC sub-system components between engine variants with regards to the startup logic and running of the engines. One difference we have simulated on the V2500’s is the KOZ (Keep Out Zone) in the EEC’s – in addition to protecting the engine at low speeds, it also prevents an engine compression stall in the sheltered engine when performing a takeoff in a strong crosswinds. Something you’ll need to keep in mind when flying those CFM’s! In fact there are several things we’ve modeled that might surprise our customers – more attention will need to be paid to outside air temperature, winds and rain. Q: Let’s focus on the flight modes that are simulated in your product, are we also assuming all autopilot functions will be simulated? Or make it simpler, what has NOT been simulated and why? The A320 Auto Flight is fully simulated. Again, we’ve even modeled characteristics of the Auto Flight systems that are not documented, but only found on the real aircraft. Pretty much all that we’re leaving out is the weather radar, as FSX doesn’t provide the correct underlying data and information necessary to simulate this properly. Q: What about navigation support? Will it be via navigraph? How has the IRS function and associated autopilot input been simulated? Our FMGS (Flight Management and Guidance System) is capable of loading any database that conforms with the standard ARINC424 protocol (as per real world demands). We have already finished a converter which can transform this ARINC424 format to our internal representation and we are able to license this to those database providers (such as Aerosoft or Navigraph) who are interested in converting their monthly data into our format. Regarding the IRS: It functions exactly like its real-world counterpart, taking information from GPS systems when available and figuring out its location based on internal laser gyroscopes that are also fully simulated. This results in the expected position drift that adds up over time (which increases over time in the same rate as per real world). Q: Sounds…are they default FSX or custom built? Custom built, with two sound sets; one for IAE V2500 type engines and another for CFM-565B4 type. We have also developed our own 3D sound technology, allowing us to place a sound point anywhere in FSX. So with the A320-X, you’ll hear the sounds exactly where they should be heard, whether that be in the cockpit, cabin or out and around the aircraft. It’s allowed us to model sounds, specific to the A320 series that no other developer has been able to simulate properly. Q: Shared Cockpit – Has it been considered? We are capable of having shared cockpit in our product. 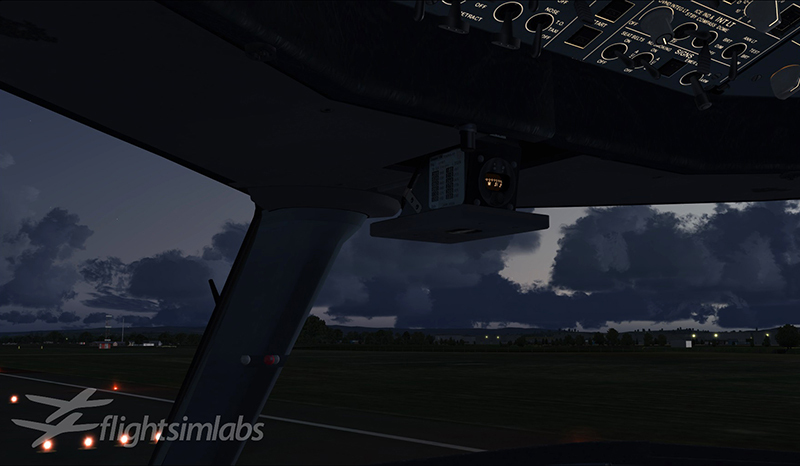 However, it will not be featured in the FSX version, as it falls outside the scope of the product – it is better suited for the training / professional version. More details on this will follow after release of the initial A320-X product. Q: What sort of manuals/documentation/tutorial can we expect with the package? I will refer your readers to our Concorde-X product, for an example of how the manuals are developed. As we are simmers too and we hate dry reading, we have made every effort to produce manuals that are not only readable by expert pilots, but can also be understood by the novice pilot – although there might be some cross-referencing involved. However, to complement this, we provide several saved flight options that the pilot can load to set themselves up at various stages of flight, so they can understand a particular feature better. A full flight tutorial was also included with the Concorde-X – we are expecting to have a similar tutorial for the A320-X as well. Q: Will there be support for other platforms? X-Plane? Prepar3D? As you know, X-Plane is vastly different in design characteristics than FSX. While we’re always careful not to exclude any possibilities, at the moment we’re concentrating on FSX as the A320-X will carry a “for entertainment purposes only” license as per FSX’s licensing limitations. At the same time, we’re following P3D’s development with extreme interest as it’s starting to feel as the platform of choice for the A320-X to carry over outside the entertainment market, with significant enhancements targeting the training and professional world. Q: What is the post-release plan? Expansions via Service Packs? or will you just concentrate on the add-ons and expand via the same installer? The A320-X will form the base product, for which expansion packs (A319/A321) will be developed and sold separately sometime after release. Support for our products is ongoing, something clearly evident in the Concorde-X which had two service packs so far (and a smaller one planned at or around the time of the A320-X release). After the A320-X series, we’ll be shifting focus to the next aircraft in our A3XX Master Series. Q: Personally, what do you think is the best feature of the upcoming aircraft? For me personally, the Jet Engine Simulation Program and the FADEC system we have designed and developed. Philippe Gleize (our flight performance engineer) and I have spent over two years working on the engines. Philippe has spent hundreds of hours collecting high resolution data for our two engine types and creating complex matrix models for us to use, not only for the engines but also, for example, to calculate very accurate fuel predictions within the FMGC (Flight Management and Guidance Computer). I remember being on my way to a simulator session and receiving a message from one of our pilots who had just carried out some early testing on a first draft of the engine start logic for our A320-X. He said it was the most realistic simulation of an engine start he’d seen in Microsoft Flight Simulator. Its comments like this and similar ones from our customers that make the long development cycles worthwhile! 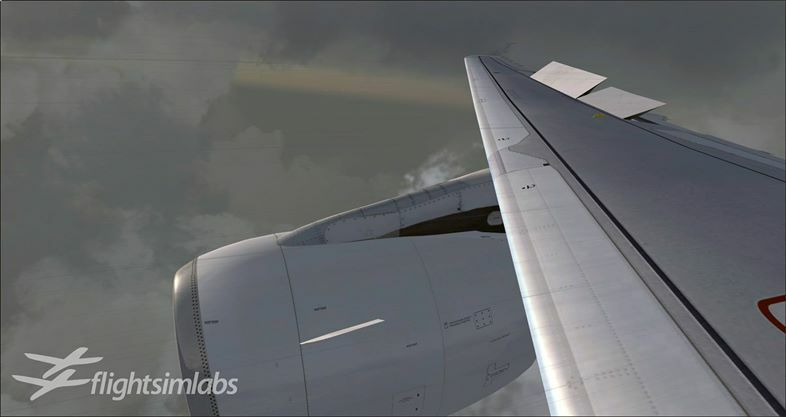 Q: And finally….what is the WOW factor for the FlightSimLabs Airbus and its upcoming family? What are you hoping the impression will be? I think the granularity that we have modeled our simulation of the A320-X, and the immersion factor that this achieves will impress. We created something quite special with our Concorde-X, which is still renowned as one of the most complex aircraft for FSX. With our A320-X, we’ve taken it to a completely different level. I’ve been simming since the days of Flight Simulator 4.0, and strongly believe the Flight Sim Labs A320-X will be received in a similar fashion that “767 Pilot In Command” was for FS2000, which raised the bar considerably for aircraft expansion products. We’re excited to complete the product and fill the void in the market for a true-to-life simulation of the A320 series. 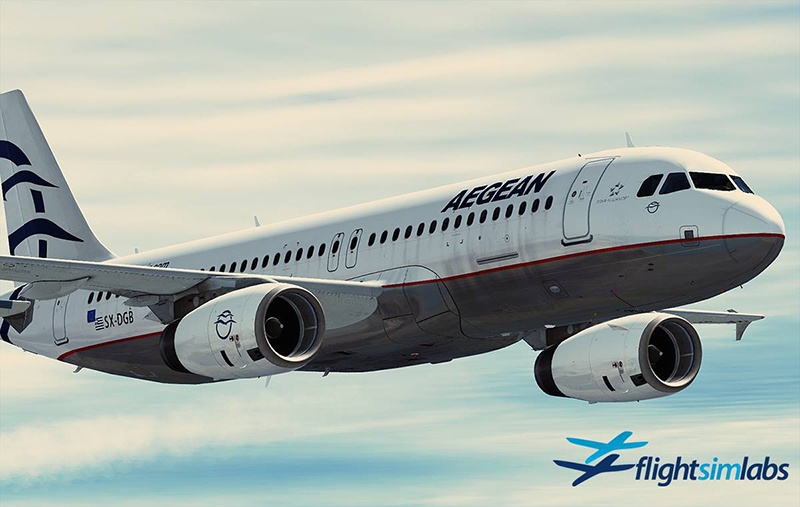 Many thanks Andrew, wish you, Lefteris and the rest of the team all the very best with your projects, certainly exciting times ahead for anyone who either appreciates an A320 and its family or simply a simmer who appreciates detailed simulation.